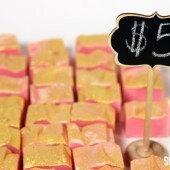 Previous Post: Talking with Tanya of Baby Duck Soap Co.
Can this be used as a facial bar? 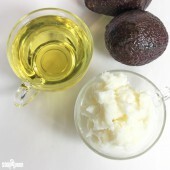 Would it be possible to use Coconut Oil (unrefined) instead of the Shea butter? 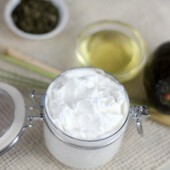 Or could I do a mixture of Coconut Oil, with Shea or Cocoa Butter as a base for the melt & pour? 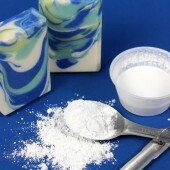 If so, how can I calculate how much base to use when making soap? 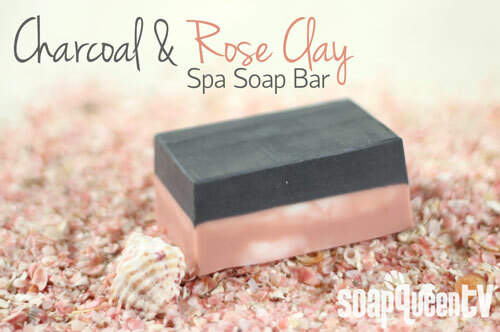 I am dying to make your rose clay spa bar but I would like to make a smaller batch for myself. 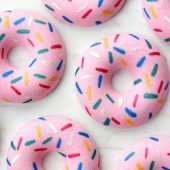 Any tips on taking your recipe and applying it to a different size mold while still maintaining the same quality and consistency through out? If you want to shrink this recipe, you definitely can! 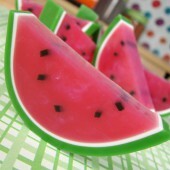 To do that, find out how much your mold holds and reduce the amount of melt and pour base accordingly. Hope that helps! If you have any other questions let me know. Hi! 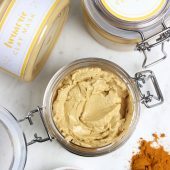 I made this spa bar a little differently, and I was wondering how I would make my ingredients label if some of my ingredients contained the same ‘ingredient’, but the fda requires them to be listed in descending order of prominence, how would I go about finding out where that ingredient (such as mica or titanium dioxide) would be listed? 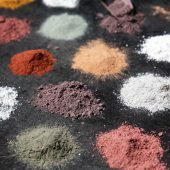 I know that colorants are last, but since the mica is in both, I’m wondering where I should put that–can I put it with the clay ingredients and the rest of the ingredients in the mauvey gem mica last? Where then does the FO go? Between the two? I know I used less in total weight % than the clay, but since the mauvey mica is a colorant it should go last, right? 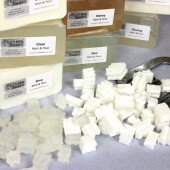 When labeling your soap, you want to list the ingredients from most used to least used. So, because the most used ingredient in this recipe is the soap base, that would go first. 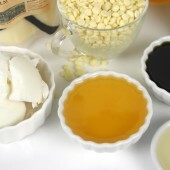 Then, add the ingredients in descending order from there. So if you used 1 tsp. of Mauvey Gem Mica and 1 Tbsp. of clay, the clay would be listed first. 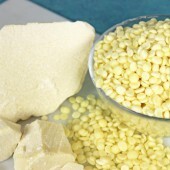 Same with the fragrance – if you used 2 ounces, it would go in front of 1 tsp. of colorant. 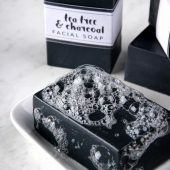 I am new to the soap making business but am extremely excited to get started and love charcoal activated soap so I was wanting to try this recipe out, but was wondering if there is another food sub for Rose absolute? 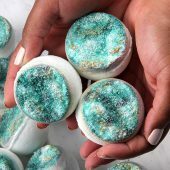 I have already purchased alot of other products for different soaps but was REALLY wanting to do this one too, do you have any suggestions? 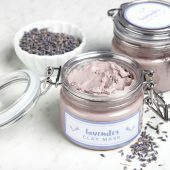 If I were to want to use only one type of scent for the entire bar, what kind of fragrance would you suggest: a FO or an EO? 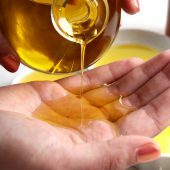 Would the overall oil measurement still be the same when adding all the other fragrances in the original recipe together? 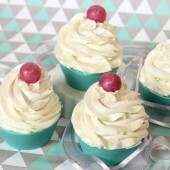 You can definitely change the scent in this recipe if you like. 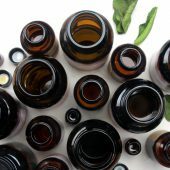 Whether you choose an essential oil or fragrance oil is definitely personal preference! 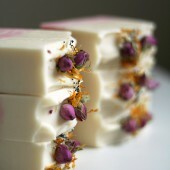 I love this recipe, I have made instead a rose & neem soap my customers love it. 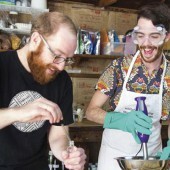 I am new at soap making and not sure if I want to work with lyle, I am glad for these alternatives. I don’t have the time between now and then to let cold-press cure (nor do I really want to mess around with lye this time around), and so I’m leaning towards melt and pour. The discouraging aspect is I really don’t love the glossiness of it (I know it’s the glycerin…), which is so unlike the pretty matte, opaque bars you see at craft shows and boutiques. Is there any good way to get melt and pour to have more of a matte, solid finish? I don’t like that it so often looks like a jello jiggler! any ideas? 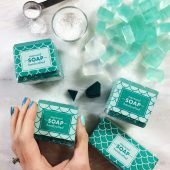 Soap is an awesome gift for your family and friends! 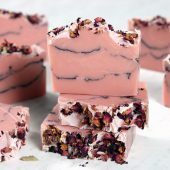 I made a cold process recipe with patchouli and rose. One half was rose clay and the other was Indigo Powder. My charcoal recipes come out way blacker then the picture looks here, and I know it was used for it’s benefits. Thanks! You definitely could use the Goat Milk Melt and Pour Base instead! 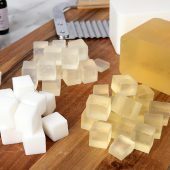 In all melt and pour recipes, you can switch out bases if you’d like, just keep in mind that white bases (like goat milk or shea) will look different than with clear soap. 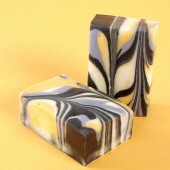 I loved the idea of the charcoal and clay combo but I decided to turn it up a notch when I made my version of this soap. But I didn’t stop there, instead of pouring in two layers, I did a swirl with four distinct colors. I would post a picture but not sure how to do that. Any whoo, thanks for the inspiration. 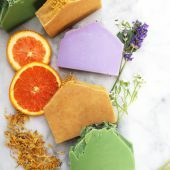 I’m very new to making soaps and I loved your idea to add additional essential oils. Would you mind if I asked which ones you used an how much of each? I love watching this video. I tried this and did something wrong. My activated charcoal came out with tiny white specks throughout, what did I do wrong? This bar is so pretty! I never thought these colors would go as well as they did! I made a single bar, guesstimating the charcoal and clay. But it’s just for me so no big deal. I might try this in a cp recipe. Thank you for all of the information you have on-line. 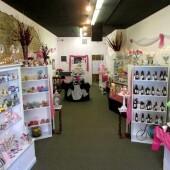 I am just getting into the handmade soap business and very excited. I have spent a month researching and feel I can have fun and sell some at the same time. 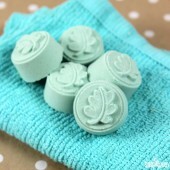 I am focusing on pet and spa soaps and would love to use this idea in CP soap. How or can you change a recipe from M & P to a CP? 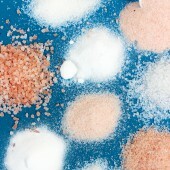 And can you recommend a good book on how to blend essential oils and what benefits if any they would have. 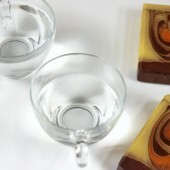 You could definitely do something very similar with cold process instead of melt and pour. 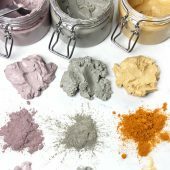 Both Rose Clay and Charcoal colorants can be used in your favorite cold process recipe, the general recommended usage rate is 1/2 tsp. 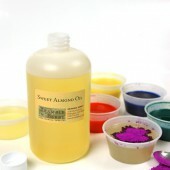 of colorant per pound of cold process soap. I hope that helps Charlie! Hi SoapQueen Tv. 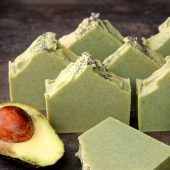 I’m newbie to a soap world, and i really feel in love to soap with this recipe, I would like to make an all organic type of soap, can i consider this recipe as an organic soap? I’d really love to know. Thank You! Can you start doing more m&p, I love cold process. However I love m&p too! We certainly can! We actually have a really cute Valentine’s Day M&P tutorial in the works! Keep your eyes out for that 🙂 Thanks for your input. These are beautiful! 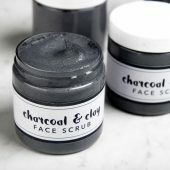 Can witch hazel be used instead of alcohol to mix with the charcoal or rose clay? If not, about how long does it take for the alcohol to all evaporate and for the smell of it to all go away? 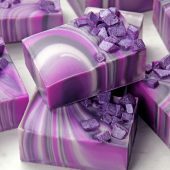 The smell of the alcohol goes away pretty quickly, by the time you mix it into the soap itself you won’t be able to smell it. We haven’t tried using witch hazel before, but I don’t see why it wouldn’t work. That being said, it’s a good idea to have isopropyl alcohol on hand when making melt and pour to spray between layers and on top to get rid of bubbles :). If you give it a try, let us know how it turns out! OMG I love this soap. Its my home color palette also. Very glamorous. Can I use recipe. Isn’t it pretty? It’s one of my favorites as well. You can definitely use the recipe! 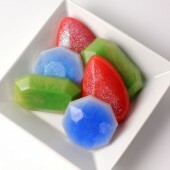 If you give this soap a try, we would love to see a picture on our Facebook page! Thanks for the responses. Now, I see that I did receive all that I ordered. 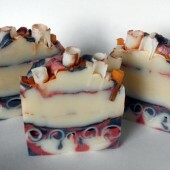 I must have been in a hurry the evening I made this soap. It is extra scented. I will post a pic on your facebook page. It isn’t as perfect as Anne-Marie’ picture, but I learned a bit in the process. 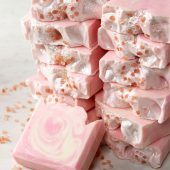 Dear Anne-Marie, this is a wonderful tutorial and beautiful soap! I just had a few questions about it. 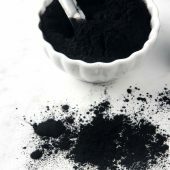 The tool that you use to disperse the activated charcoal in rubbing alcohol – what is it called? Can I substitute it with a mini-blender? Will it do the same? 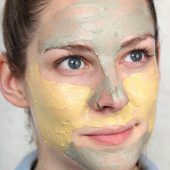 Also, the rose clay you use – the colour is so bright and pink, the one they sell at my local pharmacy and soapmaking supplies store (I’m in Moscow, Russia) is so dull, it’s almost grey. I’m wondering if it’s a different clay? It’s called rose clay though too. Thank you! Oh, what countries does Brambleberry ship to? 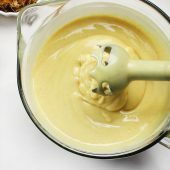 The tool Anne-Marie used in the video is actually just called a mini mixer, and you can find them at Bramble Berry! 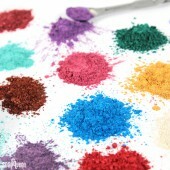 You can definitely use a mini blender to disperse your pigments, it will most likely have the same effect. 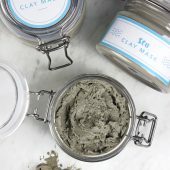 It’s tricky to say if it’s a different type of clay, but it sometimes Rose Clay can be a little more dull than our vibrant Rose Clay. Bramble Berry does ship internationally! You can find more information regarding international shipping via the link below. Hello, I just made this Charcoal and Rose Clay Soap last night. Unfortunately, I didn’t notice that instead of receiving the Rose Absolute Fragrance, I rec’d the Fragrance that goes with the deodorant recipe (Cucumber Melon)I believe. But, all in all I am happy with the results. I love the silicon molds and my new mini mixer. I have only been soaping for under a year, but am totally hooked on this hobby. Thanks for the tutorial. So helpful. Hi Alyssa – The Cucumber Melon is your free sample. 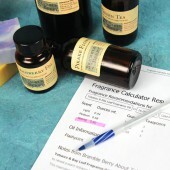 The Rose Essential Oil would have been included in a little soap box. 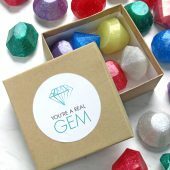 If you go through all your packaging and still don’t find it, please contact customer service and they’ll get you sorted out. 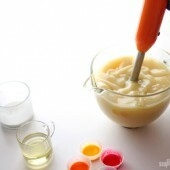 1-87-SOAP-STUF I’m so glad that you’re loving the silicone molds and the mini mixer. They are so fabulous to work with – both of them. =) Thank you for your business. I’m so happy to hear you gave this soap a try! It’s one of my favorites! I’m sorry to hear you didn’t receive your Rose Absolute Fragrance, did you order it? Despite not having it, I’m glad the Cucumber Melon worked out well for you 🙂 It’s such a nice fresh scent. Hello Brambleberry! 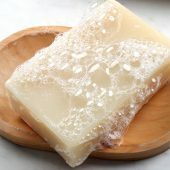 I’m fairly new to soaping – and am just having a blast trying new recipes…So,thanks for all the ideas! I just purchased the ‘kit’ for the Spa Bar and am confused about the Rose and Sandlewood oil measurements. When my cart was populated with the items for the soap, these oils (as part of the ‘kit,’ both came in 5/8 dram or 0.08 oz size, which is = to 2.4 ml, not 6ml as the recipe calls for. Am I missing something? 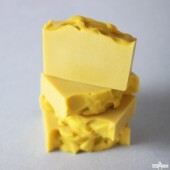 If you end up making this soap, please share it on our Facebook page! This looks great! I am wondering, if this were to be used as a facial soap, would you still recommend using essential oils? 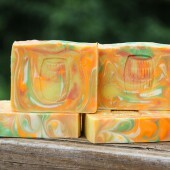 You can use this soap as a facial soap and still include essential oils. 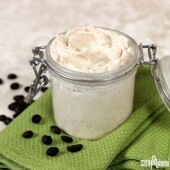 Sandalwood oil is historically used as an antibacterial agent and for treating acne. 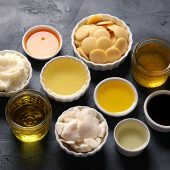 You can use other oils, just keep in mind each oil has its own benefits and some may be better for certain skin types. 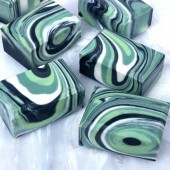 I love this soap, the way it feels it is amazing! So glad you enjoyed this tutorial 🙂 I agree, this soap feels awesome! 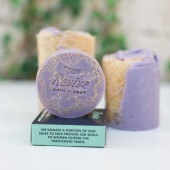 If you end up giving this soap a try, we would love to hear about it on our Facebook page! Thanks for the suggestions :). 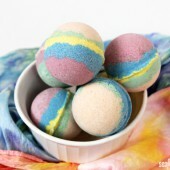 Eggnog soap sounds amazing! 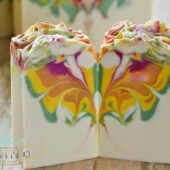 Have you ever made any of these soaps before? 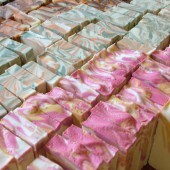 We’d love to see your soaps on our Facebook page! So pretty! If I don’t need so many bars could I cut the recipe in half? Ooops, you are so right! Haha :). Thanks for the eagle eye! Hi Jane! At the moment we are unable to provide printed copies of our instructions but we are in the process of writing transcripts for our videos! So keep your eyes out for those 🙂 Happy Soaping! I definitely will blog about it sometime this week on my wordpress blog! I’m so excited! 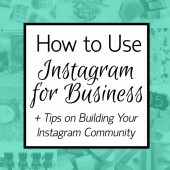 I’m so excited that you’re going to try this tutorial. Let us know our our Facebook page how it turns out as well! Just when I thought I’d had everything I need! 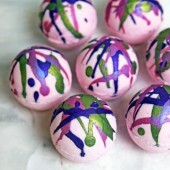 I just love these tutorials and cannot wait to make them all. Thank you so much, Anne Marie!